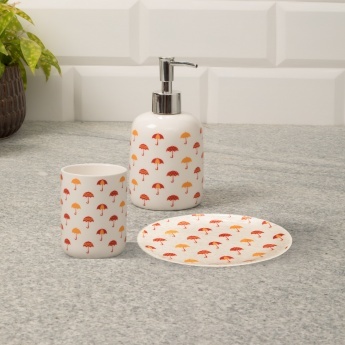 Addison Printed Stoneware Bath Accessories- Set Of 3 Pcs. 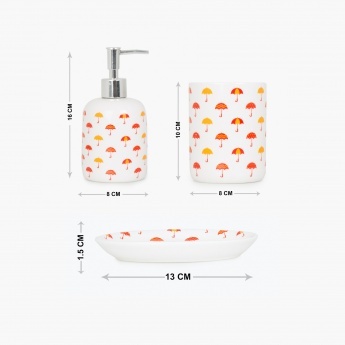 Featuring a printed detail, this set of Bath Accessories is moulded from stoneware. 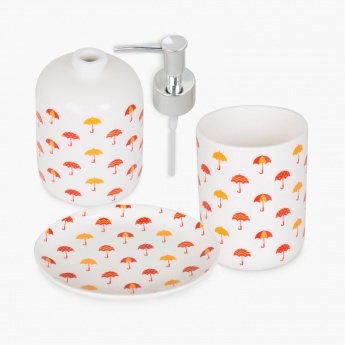 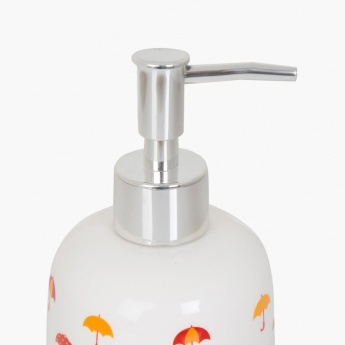 This set features a soap dispenser, a soap dish and a tumbler.